World Health Organisation WHO say 800, 000 pipo dey commit suicide evri year all over di world. 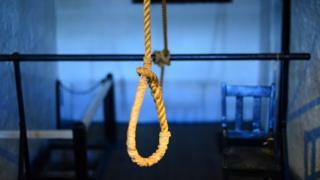 Dat one mean say to commit suicide don become di second major reason wey dey cause death among young pipo between 16 to 29 years. WHO tok dis one for statement wey dem release as dem dey mark world suicide prevention day. Di health sabi pipo say pipo dey commit suicide more for kontris wey no too rich. WHO say dem dey try create awareness to help prevent pipo from to dey commit suicide. Dem say plenti pipo dey kill demsef by hanging while some dey use gun kill dem self and some dey drink poison. Pipo wey be victim of discrimination dey also wan commit suicide, like pipo refugees and migrants, lesbians, gay, transgender and even pipo for prison. World Health Organisation say plenti pipo wey dey commit suicide get mental problem. Some dey take too much alcohol and some na depression dey cause am. "Many suicide dey happun sake of wen katakata don too plenti for pesin head like money wahala, relationship heart break and chronic pain plus sickness". "Oda tins wey dey cause suicide include disaster, violence, conflict, abuse or loss of something wey dey important. To follow up pipo wey bin don try coimmit suicide and to give dem support.